Stamp with Melva: Swallowtail Surprise! At Stampin' Up! 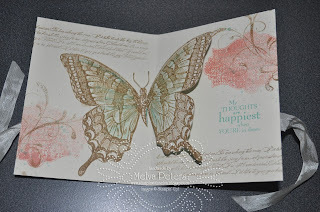 Convention in July, Shelli Gardiner, Stampin' Up! 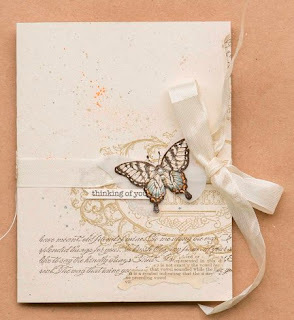 Co-founder, demonstrated a beautiful card using the Swallowtail stamp (Item 129216) and I knew that I was going to case it. 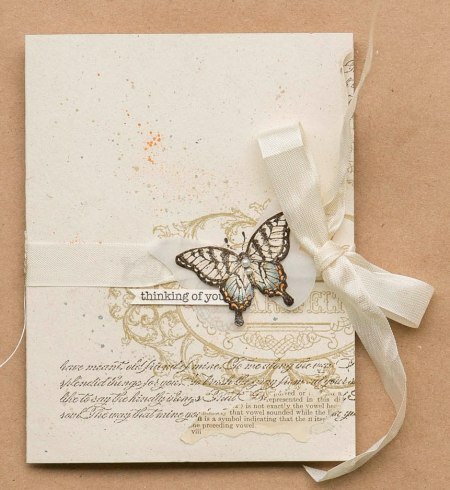 It is stunning - as Shelli's cards always are! She is the master of vintage and shabby chic! It's my sister's birthday coming up, so what a perfect opportunity to try it. I got a little carried away, but I like how it turned out. 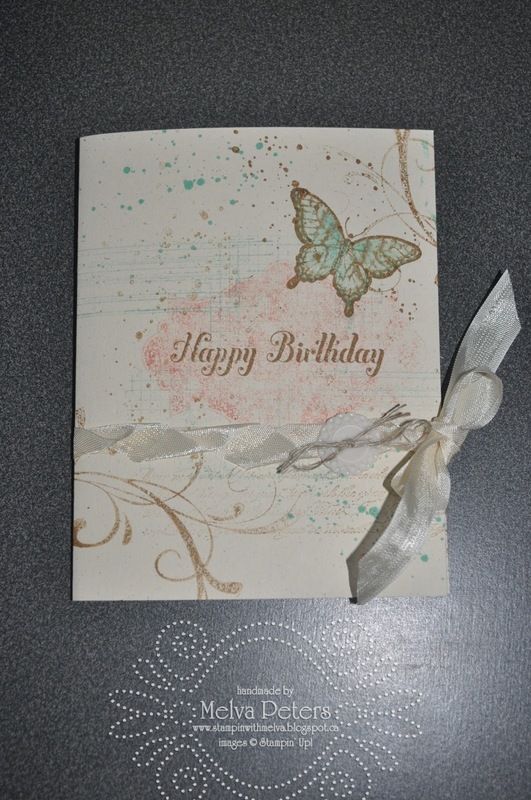 First of all Shelli's card - WOW! The surprise is when you open it - the butterfly almost comes to life! Now my case of it. 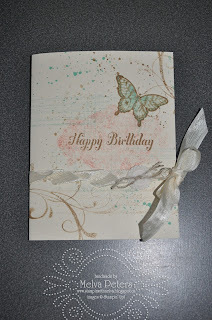 Definitely a little busier and I changed up the stamps and colours. I'm pleased with how it turned out. I hope my sister likes it!